GoodBarber and Appmaker are two top app builders. Even though both these app builders can create stunning apps, they provide it in a different manner. Among the features provided by these app builders, appmaker provides it in a better and makes it simpler to maintain the app. And that is how appmaker is the top GoodBarber alternative. Why appmaker is the best GoodBarber Alternative? Choosing the right app builder for your M-Commerce business is critical and hence let’s keep ‘ take the risk’ for something else. Appmaker is one among the top-rated app builder in the industry. They started off with WordPress WooCommerce app builder. As appmaker grew, they never forgot to extend their helping hands to users other than E-Commerce app development. Like, WordPress apps and Custom apps. Basically speaking, Appmaker build app for everything, Please note that whatever, they build they are native apps. This team have a great experience and are pros in building apps which is the kind that you need if you have plans for building a stunning native app. 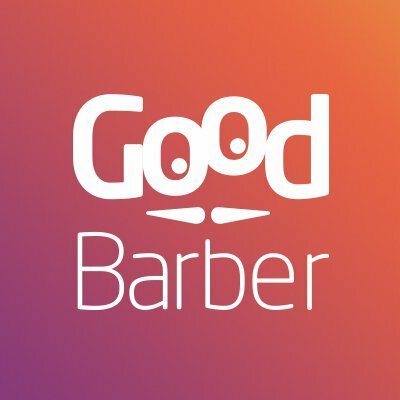 The GoodBarber is Another stunning app builder. They provide native and web apps. And is in this app building field since 2011. Their mission to make bring to make technology available for both web and mobile is accomplished with a tool for creating beautiful apps. Content publishers where the initial target customer’s and later on they positioned themselves by developing a product which allows communities and Local businesses to create an app. Appmaker is prone to native app building. They believe that it’s for betterment that people choose to build apps over websites. And it wouldn’t be fair if that is not a native app. Because native apps are much better than the usual web apps and hybrid apps when it comes to performance and speed. 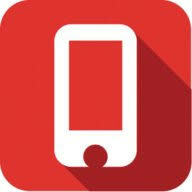 Just like GoodBarber, appmaker lets you build apps for your blog and news site. You can add unlimited images, videos and articles to your app quickly. Other than the custom apps, Appmaker lets you integrate your website and app. Unlike, GoodBarber, this feature makes it easier for you to build an app compatible with your WordPress blog or news site. Whereas in GoodBarber, you can only give your website link as an element in the app menu, which takes your user’s to your Website. This is one among the reasons why you should go for a GoodBarber alternative. An app without a menu will be like destinations without direction. Just as in GoodBarber, Appmaker- The GoodBarber alternative lets you customize your own list easily with beautiful icons for each element. And customize the toolbar name, color, and other items in it. Make stunning In-app pages with appmaker. 8+ widgets are offered by appmaker, and all of them are entirely customizable. Allowing the users to share the app content is necessary if you are having a blog or a news app. Moreover, This allows the users to spread a word about your brand and acquire more customers. The GoodBarber alternative here allows your users to share images, videos, and posts through social networks. Just as GoodBarbar, appmaker lets you send a personalized push notification to your users for your WordPress app. This interactional push notification provided by appmaker engages your users back with your app. Frequent updates are necessary so that your app doesn’t fall behind running trends. But making the users download your app update from Appstore or PlayStore will be annoying for them. Appmaker lets you update your app from dashboard in real-time without making the users update your app and waiting for it. Building an app with no further customization is worthless. Appmaker provides 100% customizable apps, which allows you to customize themes, layouts, menu bar, features and more. Unlike GoodBarber, appmaker provides live app preview everytime you make changes to your app. This gives a better option to choose the right look and features before you make changes. The setting provided by appmaker lets you quickly make changes to the app. There are numerous options that you can make your app, including multiple languages and RTL support. Enhance your app with multiple extensions for your app just as in your website. Appmaker’s WordPress app builder is integrated with all WordPress plugins. Managing the app is really necessary if you are building a WordPress app. Appmaker offers a user-friendly dashboard which lets you control all the activities of your app. Moreover, Just as GoodBarber, it’s completely code-free. Out of all the app builder out there, choosing the right on for your WordPress app may not be that simple. Appmaker is a complete GoodBarber alternative which lets you create stunning WordPress apps. Confused or have no idea how an app will work for your website? Here, get free consultation from WordPress mobile app Experts. Get your Demo WordPress App Now!